Eggs are usually scrambled, boiled or poached, but one Edinburgh student has cooked up a new use for the shells. 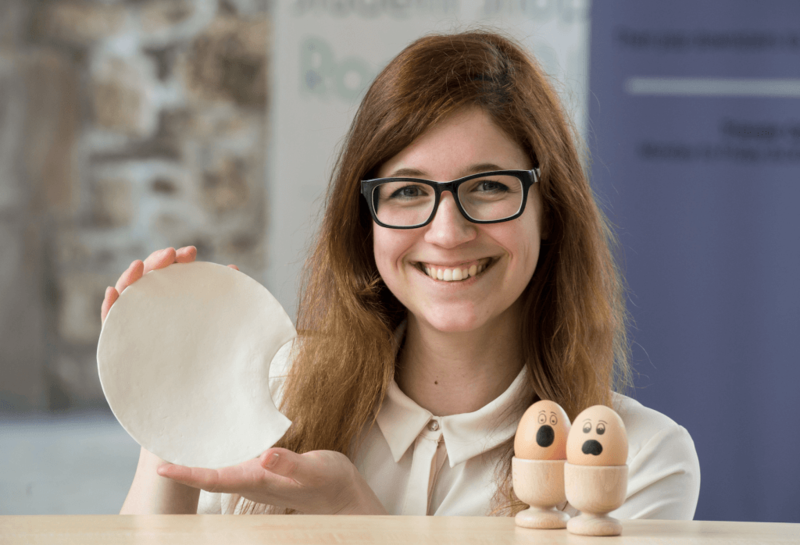 Napier university student Martina Zupan has found a way of turning eggshells into disposable tableware. The 26 year-old fourth year product design student has designed and produced a product called ‘Colleggtion’ – a disposable circular plate with tearaway cutlery that is made from waste eggshells. It is one of hundreds of exhibits at Edinburgh Napier’s More Than A Degree Show, which opens tomorrow. The process is currently patent pending, but Martina believes her tableware could help highlight the opportunities that recycling waste eggshells can bring. She said she thought up the idea while making scrambled eggs. “I tested eggshell powder in a range of formats – including adding it to muffins, into plaster for egg cups and even cement and other resins but it was the tableware idea that really caught my imagination. 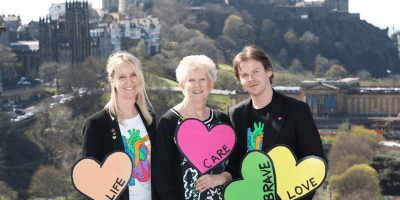 “I worked closely with research teams at Edinburgh Napier who had some leftover raw materials from various experiments that they were happy for me to use. I started testing it with the eggshells and things fell into place from there. Martina’s idea was sparked by becoming dismayed at the lack of recycling options for by-products within the food industry, meaning that potentially beneficial components such as calcium carbonate were simply being lost in landfill. According to egginfo.co.uk, the UK consumes more than 12.5 billion eggs each year, which equates to more than 75,000 tonnes of eggshell waste. As a result of current laws and regulations, egg processors are obliged to send their eggshell waste to landfill, with more than 17,000 tonnes being disposed of in this way last year. 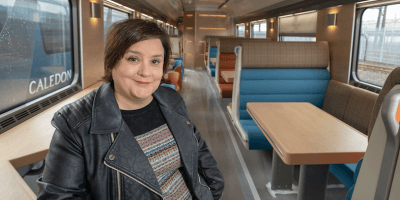 Despite some eggshell waste being used domestically, in restaurants and recycled generically though food bins, Martina still believes there is room for improvement when it comes to finding an alternative use for leftover waste. She added: “Sustainability was a key consideration throughout the entire project and I’ve been careful to ensure that nothing goes to waste throughout the process. “Very few know of the benefits that eggshells can bring to the environment. With this project, eggshell waste could not only be prevented and reduced, but eggshells would be recycled into a valuable product. “Being fully compostable means the tableware can be disposed of together with food waste, which will then be, with the help of anaerobic digestion, turned into biogases which act as a source of green energy as well as nutrient-rich bio-fertiliser. It has massive potential. Edinburgh Napier’s More Than A Degree Show is an annual showcase of the creative talent of new and emerging designers, photographers, film makers, journalists, publishers, musicians, creative writers and actors from its School of Arts and Creative Industries and School of Computing. The exhibition runs within Merchiston campus and is open to the public from 19-28 May.